This is a flower shaped white Christmas cake. 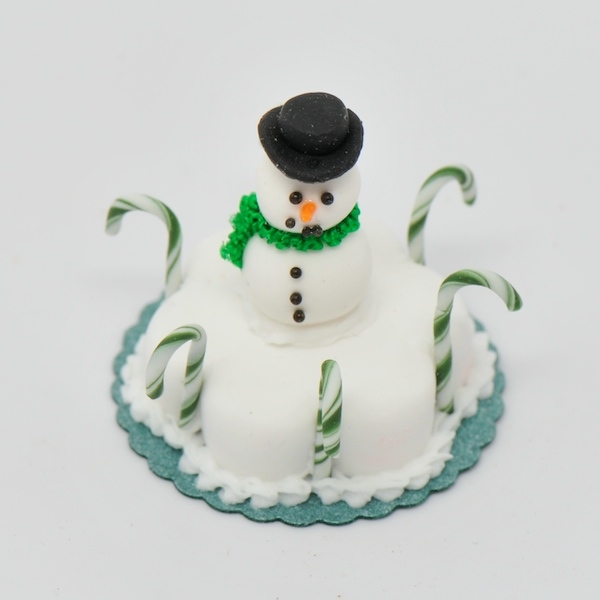 There are candy canes around the cake and a snowman in the center. It can be sliced to show the cake layers and icing.